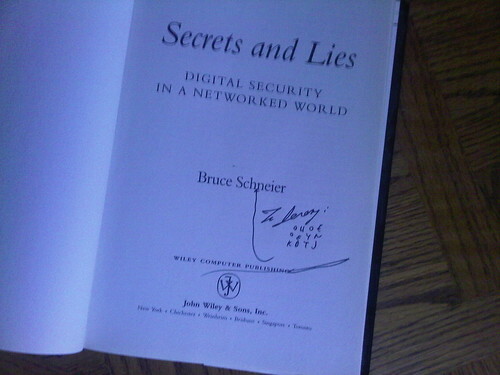 I was in Indianapolis yesterday for the Center for Applied Cybersecurity Research’s 2010 CACR Higher Education Security Summit where Bruce Schneier was the keynote speaker. 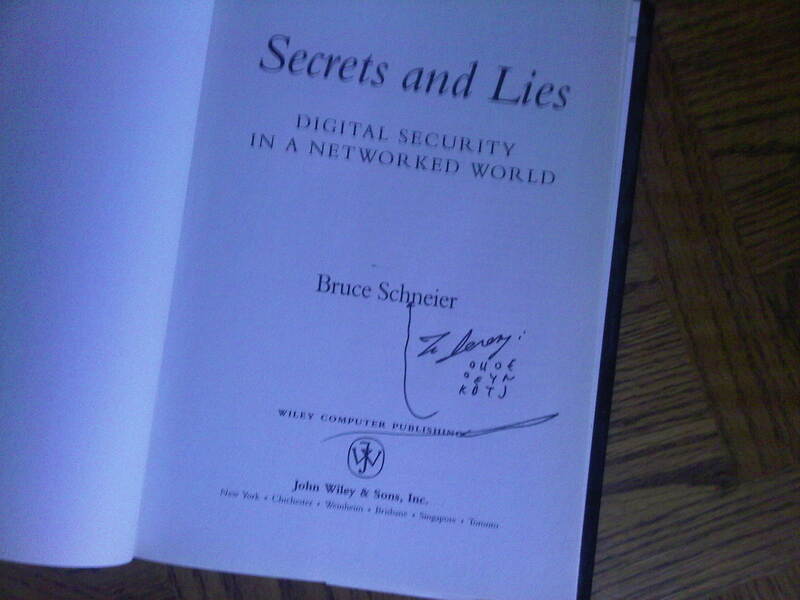 I brought along my old, well-worn copy of “Secrets & Lies: Digital Security in a Networked World” and Bruce was kind enough to chat with me and sign the book. Decrypted, it reads “Enjoy the book”.